The Child and Family Agency (Tusla) must take urgent action to address serious shortcomings in how it manages allegations of child sexual abuse, according to the findings of an investigation by HIQA, writes Maureen Browne. The investigation — requested by the Minister for Children and Youth Affairs Katherine Zappone TD following Tusla’s handling of a false allegation about a garda whistle-blower — makes four main recommendations for the Department of Children and Youth Affairs and for Tusla, in addition to other actions which Tusla must urgently take. These include the Department establishing an expert quality assurance and oversight group to support and advise on the implementation of these recommendations and the Department and Tusla seeking the assistance of the higher education and training bodies to create formal career-paths for students and graduates to reinforce child protection and welfare services. A shortage of qualified social work staff is undoubtedly contributing to delays in the appropriate management of referrals and the early assessment of children at risk. 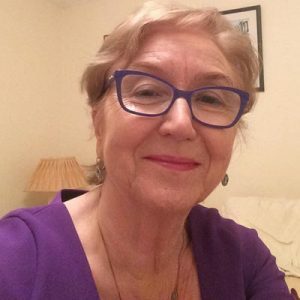 Mary Dunnion, HIQA’s Director of Regulation, stated: “It is vital that Tusla’s governance structures to support the implementation of the findings and recommendations of this investigation report are clear, and include a named accountable person within Tusla who has the overall delegated responsibility for implementing these recommendations. “The associated implementation plan should include clear timelines against each action and identified individuals in Tusla who are responsible for implementing those actions. “We acknowledge there is now a clear strategic direction and a long-term vision of what Tusla wants to achieve, and there are structures and systems in place to govern Tusla child protection and welfare services. However, these are not comprehensively and consistently understood, embedded or implemented in front-line practice in the services areas visited by the Investigation Team. The associated implementation plan should include clear timelines against each action and identified individuals in Tusla who are responsible for implementing those actions. The investigation found that while appropriate action had been taken by social workers when children were assessed as being at immediate and serious risk, some children were being left at potential risk due to a number of failures at operational level. • Consistently implement Tusla’s national policies and business processes. • Accurately record important decisions made and actions taken. • Monitor the effectiveness of the steps taken to protect children. • Support staff members’ personal development. • How people who were the subject of an allegation of abuse were communicated with. It identified systems risk as a result of three main defective points in Tusla’s response to managing allegations of child sexual abuse, including allegations made by adults about being abused when they were children, and which in some cases, left children at potential risk. The investigation found inconsistencies in practice around the screening of allegations of child sexual abuse and making preliminary enquiries into these allegations, which meant that not all children at potential risk were being assessed and where necessary, protected by Tusla, in a timely and effective manner. Inconsistencies in safety-planning practice by Tusla for children meant that while some children were adequately safeguarded, others at potential risk were not. Even for children who had a safety plan, these plans were not always reviewed to ensure the continued safety and wellbeing of the child. While there was a policy on managing allegations made by adults of abuse during their childhood, it did not include a standardised approach to direct and guide staff in case management, leading to variation in practice and delays. Some people were not told that an allegation of abuse had been made against them and others were given only limited information. In other findings, while there was a system in place for the notification of suspected child sexual abuse between An Garda Síochána and Tusla, there was no electronic data transfer system in place between these two agencies. Instead, these notifications had to be sent by fax or posted, which, HIQA said, was neither efficient, appropriate nor wholly secure. It said that in addition, there was no agreed information-sharing protocol to facilitate good sharing of relevant information and which has the confidence of both agencies. The Investigation found poor quality record-keeping in the services reviewed. The Investigation Team reviewed 164 cases reported as closed in six Tusla service areas and could not establish if some of the cases reviewed were actually closed. Furthermore, the Investigation Team found cases which were inappropriately closed as there were outstanding child protection concerns. The Investigation Team also expressed concern about Tusla plans to continue to use paper records for cases involving allegations made by adults that they were abused as children. Despite the serious issues which emerged during the investigation, the Investigation Team also found many examples of good practice by committed Tusla personnel in how they were managing allegations of child sexual abuse and retrospective abuse. It said Tusla staff were openly committed to child protection and welfare, and a number of managers openly took on board the investigation’s findings at that time and immediately addressed those risks identified. HIQA said it was also reported that there were good informal working arrangements between members of the Gardaí and Tusla staff. The Investigation Team also welcomed the development by Tusla of its Child Protection and Welfare Strategy. HIQA said that moving forward, it acknowledged the progress to date by Tusla in its efforts to improve the quality and safety of services. Based on the findings of this investigation, HIQA — in consultation with Tusla, the relevant professional organisations and children’s advocacy groups — will begin the design in 2018 of an inspection programme to promote improvement in child protection and welfare services. In addition, in 2019, HIQA will begin to develop revised National Standards for Children’s Social Services. Review all of the findings of this investigation, including the identified non-compliances with the National Standards for the Protection and Welfare of Children as set out in this investigation report. Review all of the recommendations made by the Investigation Team throughout this report. Tusla should publish an action plan on its website outlining in clear language and with clear timelines the measures it proposes to take to implement these three actions. This action plan should include a named person or persons with responsibility and accountability in Tusla for implementing these recommendations and actions. It should ensure it continually reviews and updates these recommendations and action plan and that updates on progress being made against these recommendations and actions were included in its annual report. As a matter of urgency, Tusla and the Department of Children and Youth Affairs should seek the assistance of the higher education and training establishments to create formal career-path mechanisms for students and graduates to support current and future workforce needs in Tusla, with the aim of providing a sustainable child protection and welfare service. We acknowledge there is now a clear strategic direction and a long-term vision of what Tusla wants to achieve, and there are structures and systems in place to govern Tusla child protection and welfare services. In the interim, Tusla and the Department of Children and Youth Affairs should review the current operational arrangements in Tusla to identify efficiencies and improvements in workflow. This should include a review of the existing social worker, social care worker and support staff skill-mix, and the development of a workforce strategy. The Investigation said the Department of Children and Youth Affairs, with the assistance of HIQA, should undertake an international review of best practice in the regulation of children’s social services in order to inform the development of a regulatory framework for these services in Ireland. This is with the view to providing independent assurance to the public that the State’s child protection and welfare services are safe and effective. The Department of Children and Youth Affairs should establish an expert quality assurance and oversight group to support and advise Tusla and the Department on the implementation of the recommendations of this investigation report and Tusla’s Child Protection and Welfare Strategy and Corporate Plan. The Department of Children and Youth Affairs should provide regular updates on its website to inform the public of the progress being made. The Investigation said made the following recommendations specifically for Tusla, in addition to the above overarching recommendations. Put in place a uniform waiting-list management system to review and monitor all referrals awaiting allocation to a named social worker. Review and adopt the draft National Procedures for Determining an Outcome to Allegations of Retrospective and Extrafamilial abuse cases and Protecting Children at potential risk of harm, and its accompanying draft practice guidance, and ensure its implementation across Tusla. Develop standard approaches to support the implementation of the above policy and procedures for managing retrospective referrals of allegations of abuse, to include prioritisation levels and timelines for assessments. Put in place strong and effective assurance arrangements to ensure that staff were educated and trained in applying this guidance and ensure that routine quality assurance controls were in place to measure its effectiveness. Support the Sexual Abuse Regional Team (SART) in the Dublin North East Region and other dedicated service-area-based teams to quickly and effectively complete risk assessments and, where appropriate, put in place the required protective measures to ensure children’s safety. Review and ensure its current processes for case-record identification and closing cases are safe and effective. Ensure all persons who are the subject of an allegation of abuse are informed in a timely manner that an allegation has been made against them.